A very humble diorama - my entry for Hemble's contest over at The Raven. Simple? Modest? No way! Nothing to be humble about at all here Lance, this is simply fantastic. 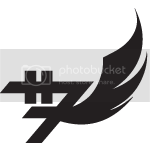 If you get going with an Indy photonovel someday, this location absolutely HAS to be included. Love the customs too, especially of the student. Fantastic! HA I used to have that obilisk for the same purpose but ended up selling it. Nice I like very much. zedhatch wrote: HA I used to have that obilisk for the same purpose but ended up selling it. Wait, which one? The Egyptian obelisk or the Mayan column? 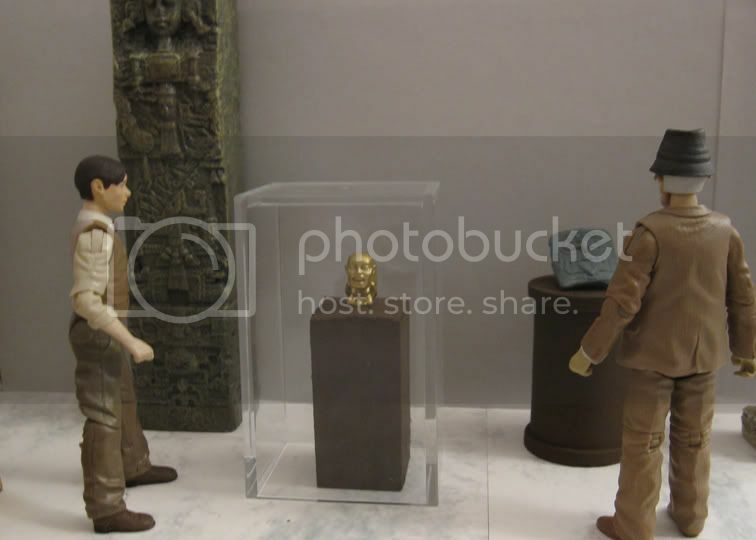 That Mayan thing was IMPOSSIBLE to find. Took me over a year to stumble across one after an EXHAUSTIVE search both on the ground and on-line. It was discontinued in 2006! So help me, if you sold one of those without offering it to me first, I will never forgive you!! 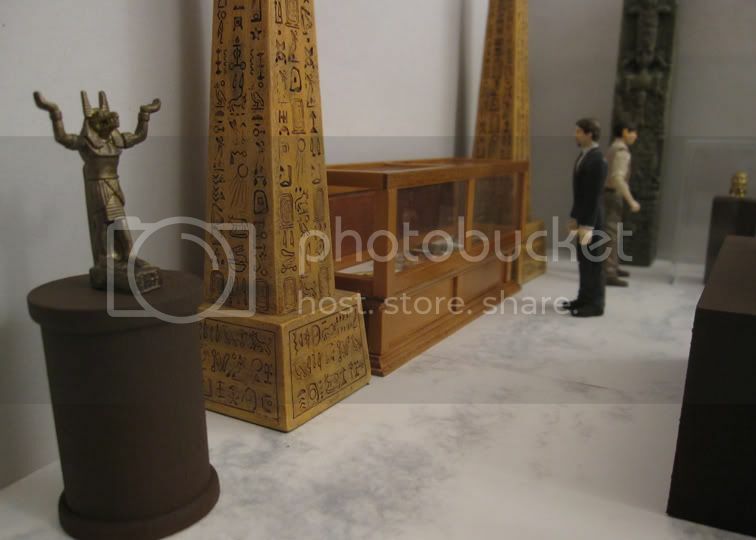 Can you tell us about those great customs looking around the museum? Amazing! I need to catch back on the Raven and check out the other dioramas. 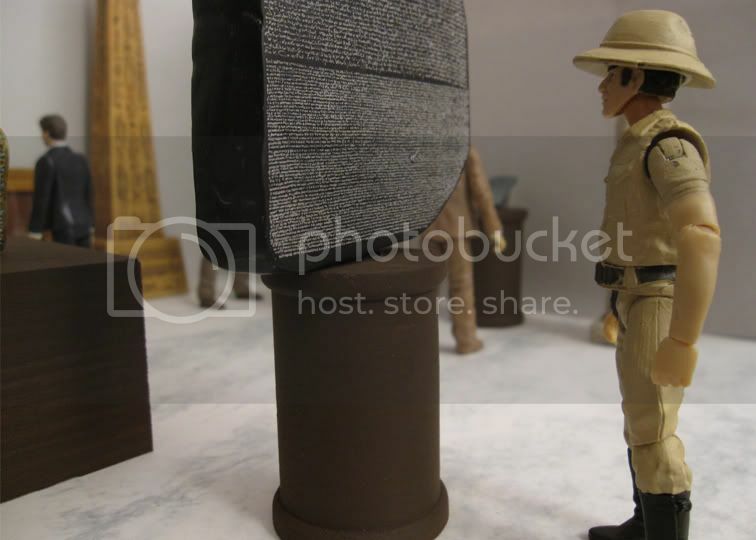 As a big artifact fan, I really love the Rosetta Stone. The fertility idol is a nice touch, too. Thanks very much for the comments, everyone! 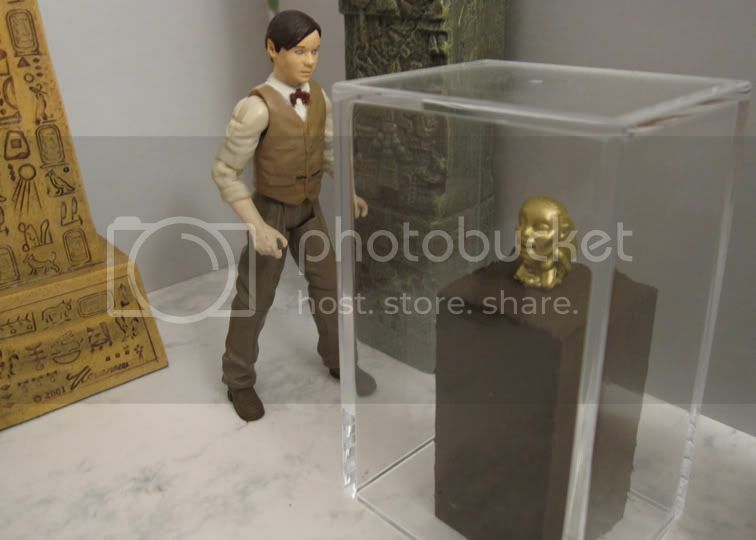 I have been collecting various Indiana Jones-esque odds and ends for the past two years for display/diorama purposes - in addition, of course, to the very cool relic pack-ins that were included with the figures. Only some of the items are on display here. 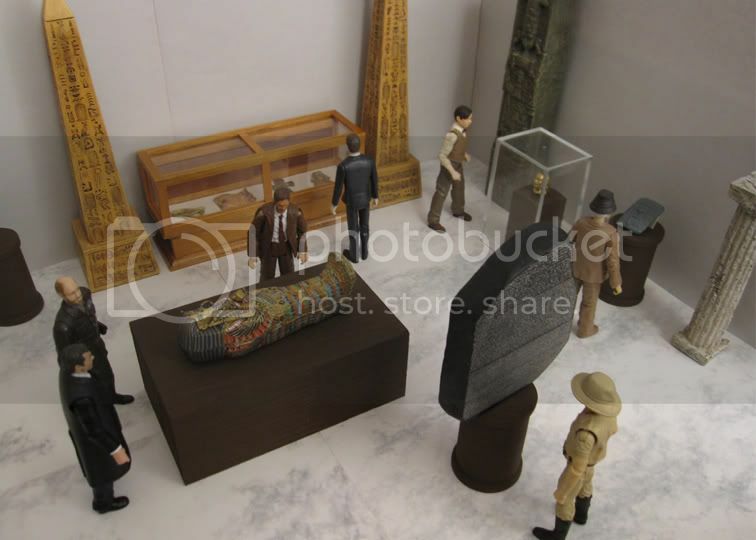 Here is a better look at the items in the glass case. 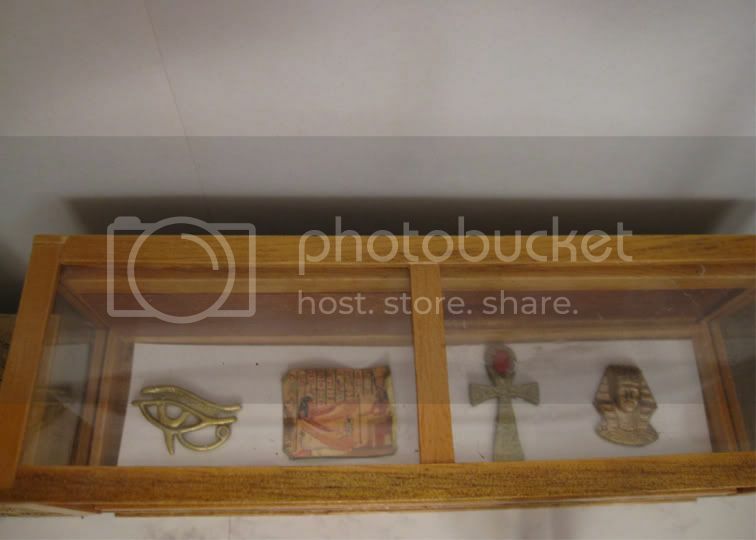 The Eye of Horus and Ankh are from the Indy line, of course. 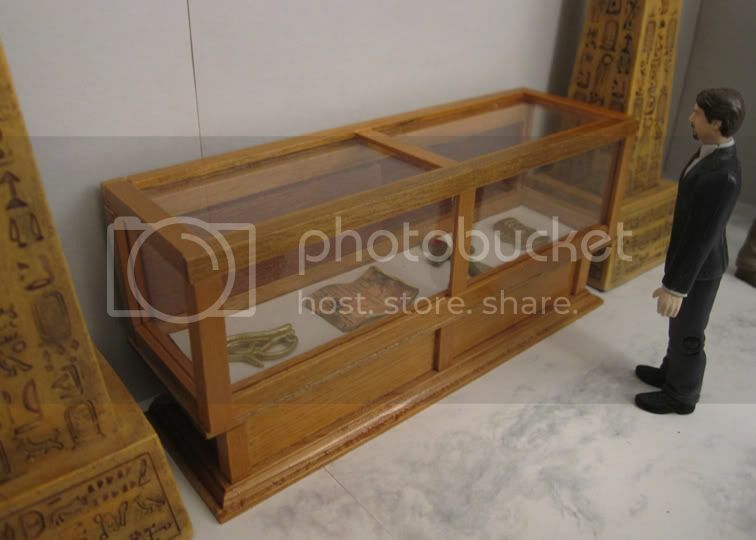 The Hieroglyphic scroll and Pharaoh's head I got on ebay, along with the display case itself. 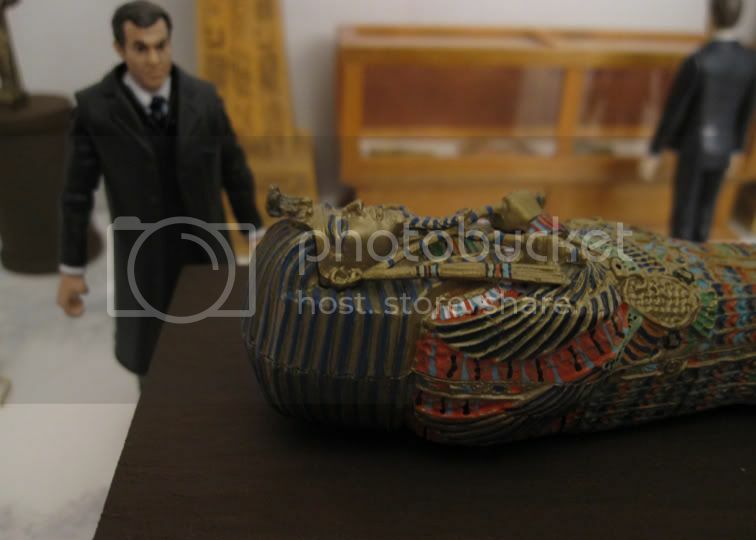 DanOfTheDead wrote: Can you tell us about those great customs looking around the museum? Happy to! Up first is my Jungle Outfit Belloq. I'm very proud of this custom, I showcased him last year. It's easily the best custom I've ever done (not saying much at all) and I'm delighted with how well he came out - even though I have to touch up the paint fairly often when the joints tear at it. He's made up of a large number of figures, but the parts work together well. These two guys are just random Indiana Jones-verse characters I made. 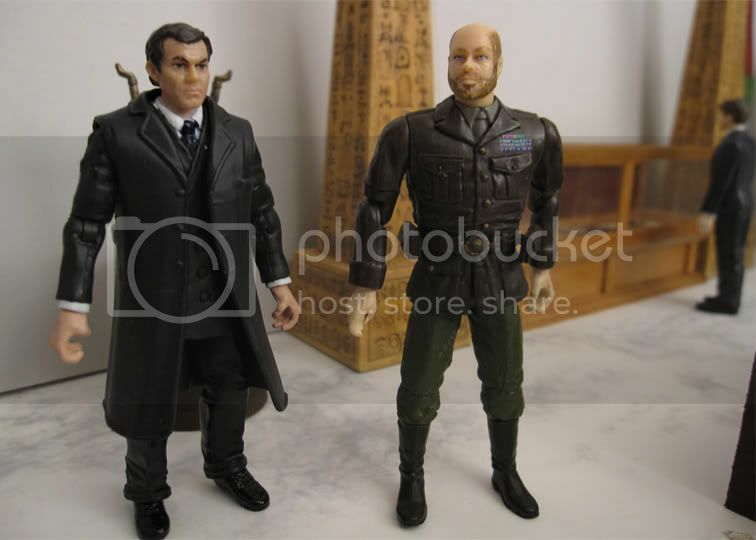 One I guess is a government guy of some sort, the other an Army colonel made up of a Patton 21st Century/Ultimate Soldier torso, German soldier legs and Endor Trooper head. 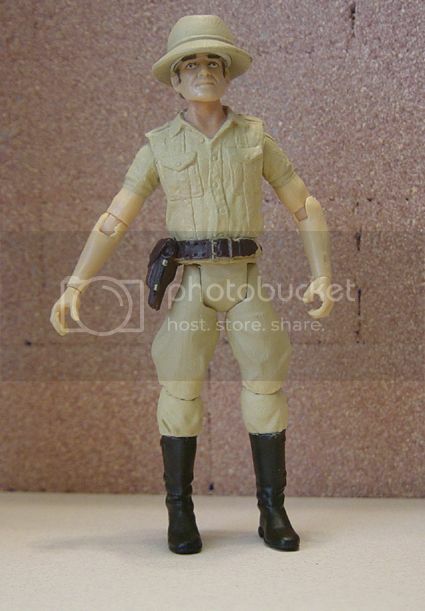 This "student" figure needs a repaint on his shirt, the sleeves don't match the shirt on the torso. I did repaint the torso part, which looked fine for about five minutes and then dried a very bright white. I'll have to take another crack at that. 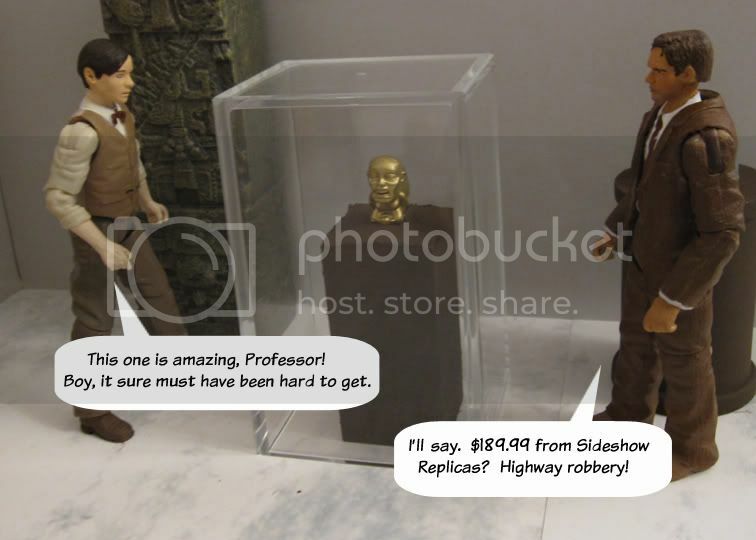 It's a very simple custom of Indy parts with a Tom Riddle head from the UK Harry Potter line. Wow that's fantastic! So let me get this straight. You can make this sort of thing, but you don't have a photonovel? boo!!! Darth Kikinou wrote: Wow that's fantastic! So let me get this straight. You can make this sort of thing, but you don't have a photonovel? boo!!! Let's hope so, your PN works is some of the best around... hope you get back on that Aayla Secura series sooner than later as well. You've been depriving us far too long! Very cool dio, Lance! I can see you worked really hard on it and it shows! Thanks very much, guys, but no, I really didn't put much work into this. Arranging the various "exhibits" took the most time, as did painting the pedestals, if only because I used a comically puny brush. That said, it was a great deal of fun and I am working on a Version 2.0, but I doubt I'll have pics earlier than a week or so from now. But stay tuned! 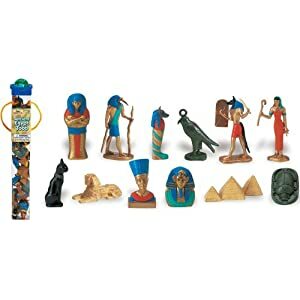 I just saw these at HobbyLobby and thought of your dio.